Andrew “Red” Currie began his football career as a player from 1925 – 1933. He played with St. John’s College, University of Manitoba, Regina Pats, Regina Roughriders and the Winnipeg “Pegs”. Currie’s career at the executive level included coaching, officiating, and various other organizational functions. 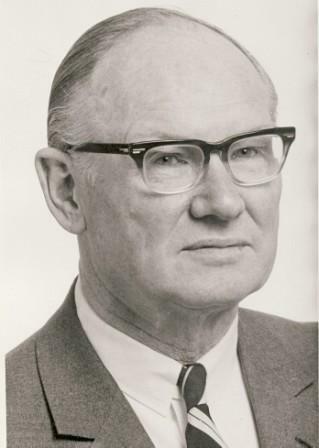 In 1949 he organized the Manitoba Football Officials’ Association, and in 1954 assisted with the start-up of the association in BC. In 1965 Currie chaired the sub-committee which was responsible for the revision and re-writing of the Canadian Football League’s Rule Book. This Rule Book was adopted in 1967. Andrew Currie is a member of the Winnipeg Football Club Hall of Fame and the Manitoba Sports Hall of Fame.